Section 83 of the Criminal Code delegates the regulation of MMA to the Provinces. This requirement has created a diverse regulatory patchwork for the sport across Canada. 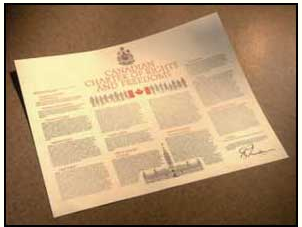 Some Canadian jurisdictions have ‘home licencing requirements‘ – that is, requirements for non-residents to be licensed in their jurisdiction of residency or other jurisdictions prior to being qualified to obtain a licence. To take two examples, Ontario and Nova Scotia have such regulations on the books. If applicants don’t have such a licence they can be denied licencing by the Nova Scotia and Ontario commissions. The difficulty with this requirement, however, is that it discriminates against Canadians who reside in a jurisdiction where MMA is not legal. A resident from Newfoundland, for example, could not comply with the Nova Scotia requirement as they cannot obtain a licence from a ‘recognized licencing agency‘ in their home Province. As has been held by Courts interpreting this provision, section 6(2)(b) protects the right of Canadians to pursue their livelihoods in any province even though they may not be residents. Given the short career span of combat athletes and the reality that travel across provincial lines is all but a requirement to succeed at the highest levels in the combat sports trade these statutory impediments are significant infringements to the mobility rights of professional combatants. If a commission denies an applicant a licence based on a ‘home licensing’ provision this improperly denies “the gaining of a livelihood” to Canadians who reside in a jurisdiction where MMA is not legal. This, on the face of it, is discrimination based “primarily on the basis of province of present residence“. If MMA is legal in a jurisdiction the Charter guarantees that a person’s residency cannot be a barrier to gaining a livelihood in the sport. It is difficult to see how such clauses can survive judicial scrutiny and jurisdictions drafting their combat sports laws in Canada would do well to avoid home licencing provisions.